"The Imperium of Man stretches across the galaxy and encompasses over a million worlds. To a great many of the unnumbered souls of its population, Terra, the fabled cradle of humanity, the mythical seat of the immortal Emperor and the spiritual heart of the Imperium, is but a legend." 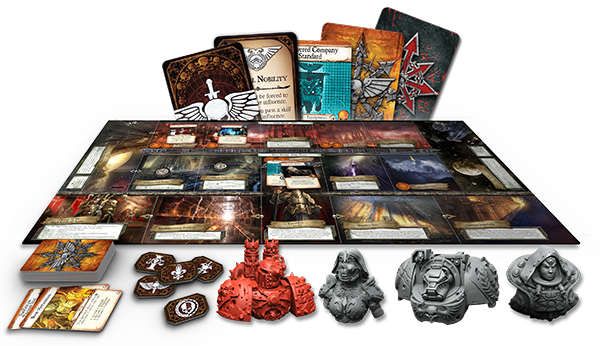 Halls of Terra, the first side board expansion for the Warhammer 40,000 board game Relic, is now available at your local retailer and in our online store. A bloody interplanetary battle against heresy and Chaos rages in the besieged Antian Sector, threatening untold billions of innocents with unspeakable doom. In Halls of Terra, your quest to defeat the powers of darkness ravaging the Antian Sector takes you to the Sol System. There, you have the rare opportunity to earn the favor of the Imperium’s great ruling powers. You may even perhaps even stand at the foot of the Golden Throne and be named a champion of humanity by the God-Emperor himself. But you’ll find that Terra, too, is filled with perils and will test your Cunning, Strength, and Willpower to the utmost. 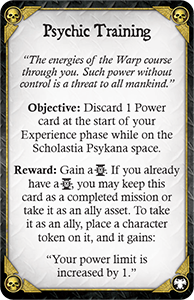 In addition to the Sol System side board, Halls of Terra introduces a host of new Threat cards, Missions, and Corruption cards to Relic. Three characters equally adept at combating the horrors of the Antian Sector and navigating the ruthless politics of Holy Terra join the game, along with a powerful new nemesis from one of Chaos’ deadliest legions, the Iron Warriors. Rules for initiating vicious skill duels against apotstate characters are introduced for the first time in the rulebook, downloadable from the Relic support section. 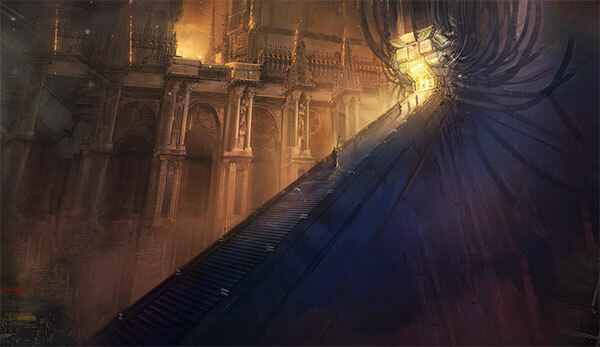 The path to becoming a Champion of the Antian Sector leads through the gates of the Imperial Palace, deep into the Sanctum Imperialis where sits the terrible and sublime Golden Throne. But to pass through those gates you need at least one affiliation with a great Imperial organisation. 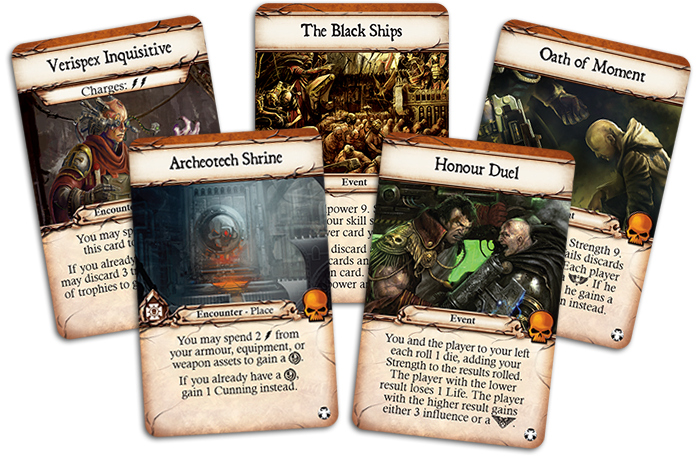 Our first preview revealed how you can gain those affiliations, from winning over the Imperial Nobility with your Cunning to praying alongside the Adepta Sororitas at the Ecclesiarchal Palace. You might also earn an affiliation by completing one of the new Terra-based missions, such as Psychic Training . If you arrive at the Golden Throne with an affiliation in hand, the God-Emperor will name you a champion of that affiliation. Each Champion gains a powerful and permanent ability. 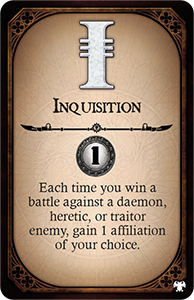 The Champion of the Inquisition , for instance, can easily earn the endorsement of other organisations and possesses an attribute bonus that can be used in any skill test. The Sol System side board opens up not only Holy Terra, but also the Forge World of Mars and the moons of Titan and Luna. But there as many lethal threats on these worlds as there are ancient, magnificent, and sacred locations. A new orange Threat deck, explored in our second preview, immerses you in the dire perils, unforeseeable Encounters and extraordinary Events unique to the Sol System. Seeing massive, desperate hordes of psykers pouring out of Black Ships could test your Willpower. Another character might suddenly challenge you to an Honour Duel and force you to fight for your life. Or, you might unexpectedly discover an Archeotech Shrine where you can desposit wargear to curry favor with the Adeptus Mechanicus. Halls of Terra includes three characters, introduced in our third preview, who can face Corruption without falling victim to it, grant other characters renewed life, and withstand the most fearsome enemy onslaughts. They each belong to a different Imperial organisation and possess vastly different abilities, but all of them are fit to become a Champion of the Imperium. All of them are capable of defeating the powers of Chaos that incessantly pour forth from the Warp. 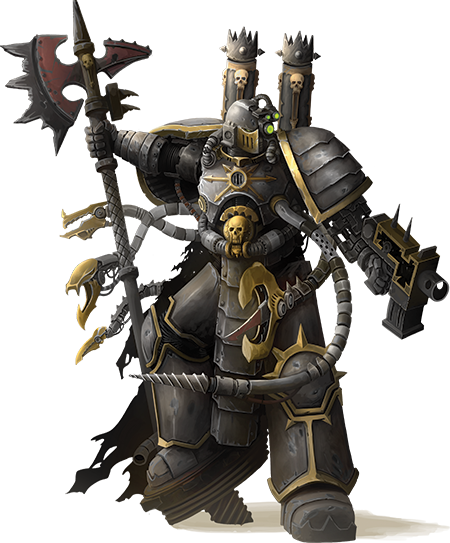 With these servants of the Imperium, however, comes a new nemesis, Abraxis Synethi, a warpsmith of the legendary Iron Warriors who took up the banner of Chaos during the Horus Heresy. His diabolical and grotesque Daemon Engines promise to relentlessly hunt and savagely harm those who take up arms in the service of the Emperor. The deadly politics and ancient glories of the Sol System await you. 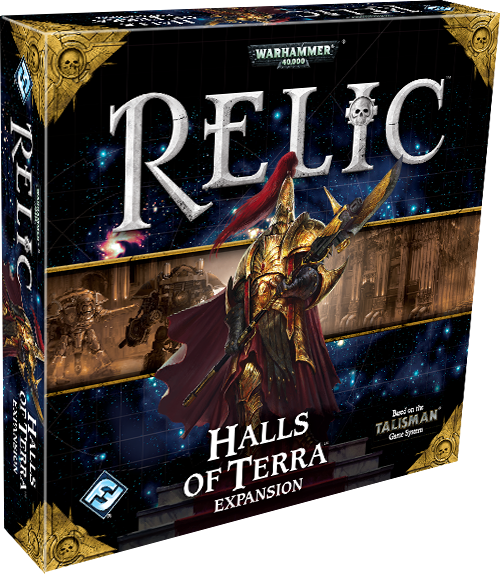 Pick up your copy of Relic: Halls of Terra today! Relic is a board game in which two to four players each assume the role of a powerful hero from the Warhammer 40,000 universe and bravely venture forth to shield the Antian Sector from certain doom. By completing missions and defeating enemies, characters compete to gain rewards and experience, furthering their chance of being the first to defeat whatever evil lies beyond the Warp rift.